Singapore and Bangkok are often seen as flip sides of the same coin. Where Singapore is clean, orderly, and green, Bangkok is … not. What can you say? Both have their advocates: light vs dark, security vs chaos, angel vs devil. One will never be mistaken for the other, but there are more than a few similarities, the most prominent of which is a nearly debilitating obsession with food. Yes, Singaporeans love their food. Like in Thailand, food forms the backdrop to every social interaction, is the insistent hum underlying almost every conversation. While you are eating, let’s discuss where we are eating next. Did you try this yet? We can shoehorn it in between that other place and the one down the road and, oh, that reminds me of the place across the street too. Let’s take a walk and look at other restaurants while we’re eating dinner. Why not? Also: I love this. I feel you on this, Singaporeans. I feel like you get me. Let’s be friends. Bina and Poh Sun get me. This is why, minutes after we have settled into our hotel, they come to pick me up for dinner. They have a plan … for the entire weekend. No meal will go unattended, a lazy stroll down some sidewalk and a quick dart into the first fast food venue that beckons. That is not for us. 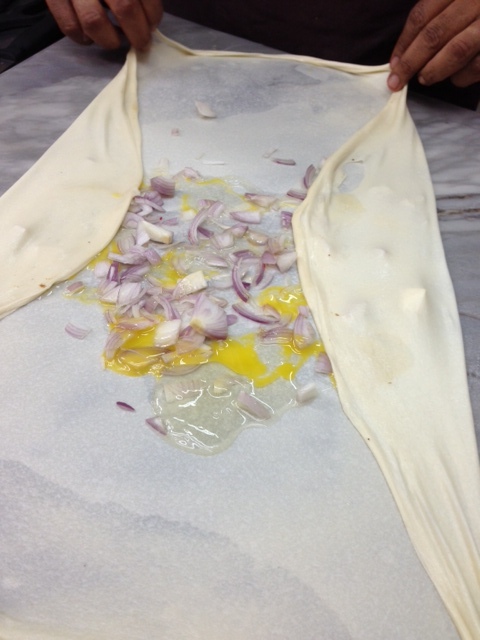 Every meal is a learning experience, aka a chance to stuff my piehole with something different. Because — despite its relatively tiny size of 660 sq m — Singapore still contains multitudes. I would try to consume them all. First stop: Newton Food Centre. We acknowledge that it is one of the island nation’s more touristed spots, but it is also one of the biggest, and the easiest way to jump into Singapore’s street food scene. All the favorites are represented: stir-fried noodles, birthed in volcanically hot woks with lashings of dark soy and chili sauces; satay, paired with fresh chunks of cucumber and oddly-comforting wedges of sticky rice; egg prata, a gossamer-thin slip of dough filled with egg and veggies; and roti John, a baguette stuffed with what you would find in a regular murtabak, accompanied by a sweet, neon-red chili sauce and a perfect fusion of Anglo and Muslim influences. Of course, there are also “touts”: people who “help” newbie tourists — instantly recognizable by the dazed expressions on their(my) faces(face) — by suggesting tables and then plying them with laminated menus that promise delicious seafood. That seafood may very well be delicious, but buyer beware: the story of the tourist who paid S$800 for four prawns is something I still remember quite vividly. But if touts are your biggest worry during your street food experience, there would seem to be very little for you to be concerned about. 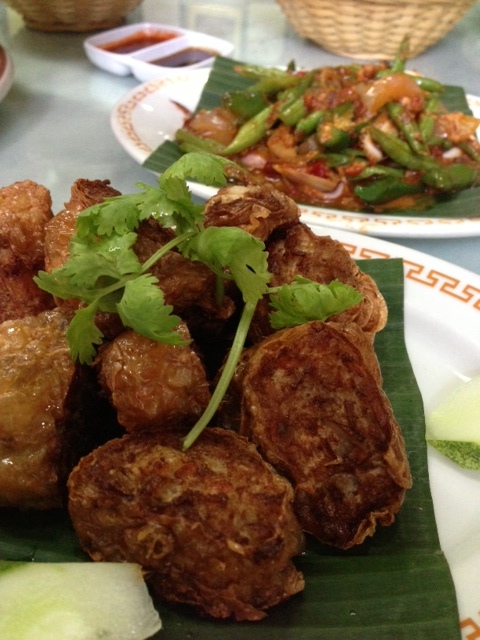 Street food in Singapore is a carefree, diverting experience, and one that is perfectly suited to Singapore. My opinion on the possibility of herding the cats that masquerade as Bangkok’s many food stalls (and their customers) into their own food centers, however, has not changed. Vendors here are perfectly happy forming their own little collectives — the more, the merrier the chance of encouraging more foot traffic. But to cut the spontaneity and autonomy out of the decision-making process would be to cut out all the fun — anathema to Thais. Of course, I could be wrong and railing against what may be an inevitable result of a city shedding its sordid, cluttered past and evolving with the help of a lot of money (see: Hong Kong). But to have to travel to a food center to get my street food (instead of, say, stepping out onto the corner and even at the edge of my driveway to find a stall has spontaneously sprouted somehow from the concrete) would make me sad. Next stop: Katong. If Singapore is downtown LA, Katong is … oh forget it, I don’t know LA. Let’s say Singapore is Manhattan and Katong is Brooklyn. And in Katong is a wealth of great Malaysian and Peranakan (a mix of Chinese and Malay) places that provide great food at prices that are actually reasonable. At Glory Catering (www.glorycatering.com.sg), an array of stir-fries, curries and noodle dishes await the extremely hungry; particularly recommended are the brinjals (garlicky, peppery stir-fried eggplant) and the porpia (soft “egg” rolls stuffed with vegetables with a tart-sweet chili sauce, freshly made with every order). At House of Peranakan Cuisine (210 East Coast Road), the ayam buah kelua — chicken curried with stuffed Indonesian nuts that are also macerated and cooked into the sauce — may not be black enough to satisfy devoted Peranakan food lovers, but the long beans, stir-fried with bits of baby octopus, and meatballs are delicious enough to make up for it. 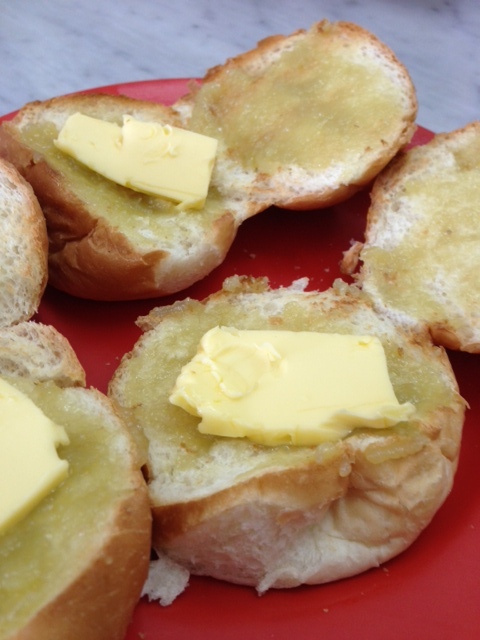 Possibly best of all are the hot buns, dripping in kaya (a mix of eggs, coconut milk, pandanus leaf extract and, of course, sugar) and baptized with an obscene square of butter at Chin Mee Chin Confectionery (204 East Coast Road). With a cup of sweet coffee and an egg boiled just enough to form a thin white skin over the yolk, this is enough for any lunch. Although the two other lunches before then were pretty good, too. Third stop: Far East Plaza. Alongside all the aspiration that pervades much of Orchard Road is a humbler collection of downmarket shops and no-frills Asian eateries known as Far East Plaza, the Singaporean equivalent of Bangkok’s MBK. Amidst the sushi bars, Malay-style curry stands and yong tau fu (sort of DIY noodle shops featuring fresh veggies and your choice of protein) shops is William’s Rojak, the first purveyor of the Chinese-style salad made up of chunks of green mango, pineapple and rose apple tossed in a sauce of shrimp paste, chilies and pulverized peanuts and garnished with bits of torch ginger and patongko (Chinese-style flat fried bread). It reminds me of Thai-style som tum in that its main fanbase is predominantly female. The similarities pretty much stop there. There is also a Malay version hewing closer to the standard idea of a vegetable salad, as well as an Indian version that simply tosses out everything that is healthy about this dish and then fries it twice. I have yet to try those. But I doubt I’ll like them more than I like this. 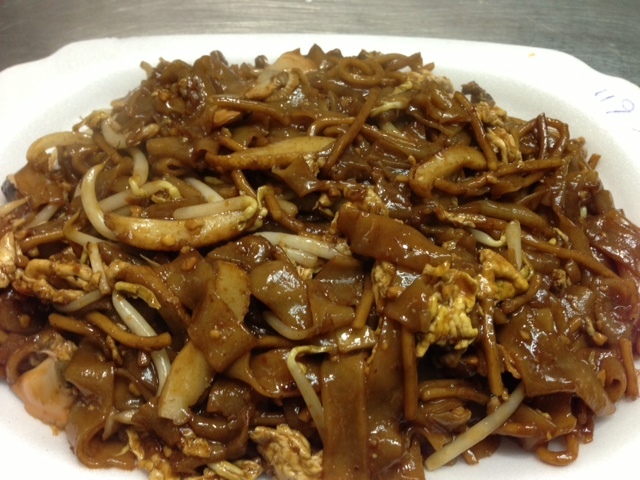 Have I gotten into everything that I’ve tried in Singapore? Hell no. I have a reputation for laziness to maintain. Do I look forward to trying more on my next trip there? Of course I do. You’re on notice, Singapore. My cheeks are twitching …. lurve murtabak and rojak! We have just experienced Finnish Karelian Pies (http://en.wikipedia.org/wiki/Karelian_pasty) Peter says there seems to be a good reason why they haven’t caught on internationally … kinda like rice in cardboard! Heading off to the Old Market Hall soon – sounds like they do a great fish sandwich! Have a great time in Finland! Great time of year to visit. Interesting google maps of some street vendors listed by food types. Hi Ake, Google maps would indeed be a help. Karen is teaching me how to do that, so I may actually incorporate it sooner rather than later! Thanks for reading. Hmmmm …. 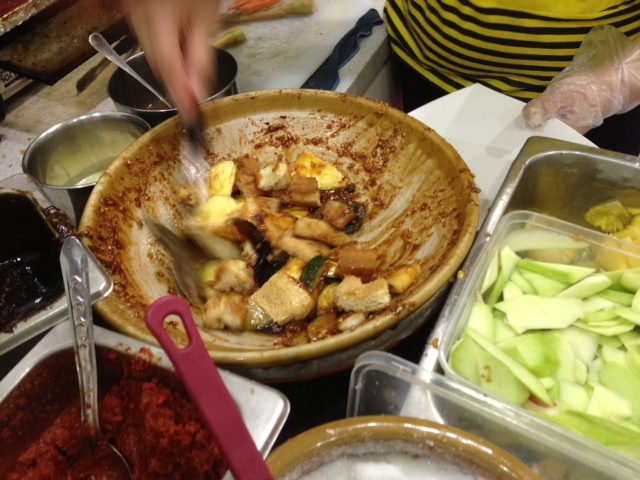 Indian style rojak – could we compare thee to a ‘crispy som tam’?? Goodness Miss B-KG – you sure do get around! Did Karen accompany you – or are the photos your own? Karen is alas back in NY, which is a shame since she’s never been! Maybe next year. Omg. I can’t wait to get there! I’ill probably choke from improper chewing in an effort to eat everything Singapore has to offer. Also, the photos are awesome! Next time you are here, perhaps! It’s a 2.5-hour flight to SG from BKK.